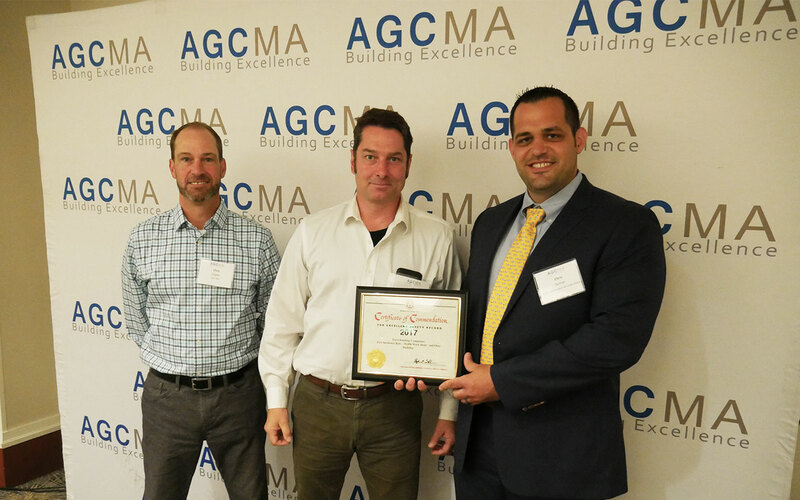 BOSTON, MA (June 24, 2017) – Tocci Building Corporation (Tocci), a Boston-area construction management company and leader in virtual design was awarded with a National Safety Award by the Massachusetts branch of the Associated General Contractors of America (AGC) on June 24th at The Boston College Club in Boston. This marks the 24th consecutive year that Tocci has been a recipient of the award, and further distinguishes the company as a leader in safety. Tocci consistently surpasses standard OSHA requirements, and strives to implement safety in every aspect of their work. Tocci Building Corporation, a leading construction and project management firm, specializes in Virtual Design and Construction (VDC), Building Information Modeling (BIM), Highly Collaborative Project Delivery (HCPD℠), and Integrated Project Delivery (IPD). Tocci was an early adopter of VDC in the Northeast and in 2006 committed to use it on all projects. In 2008, Tocci built the first IPD project in the Northeast and is now doing IPD across the country.